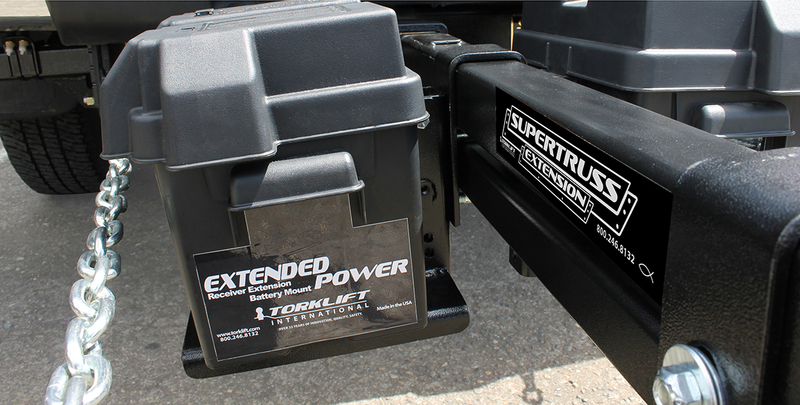 The ExtendedPower is a universal battery mount for housing extra truck camper batteries while mounted on any hitch receiver extension. It provides RV battery security and becomes an extension of your truck camper batteries and depending on desired application, can easily recharge via solar panels, generators, converters or your truck's alternator. 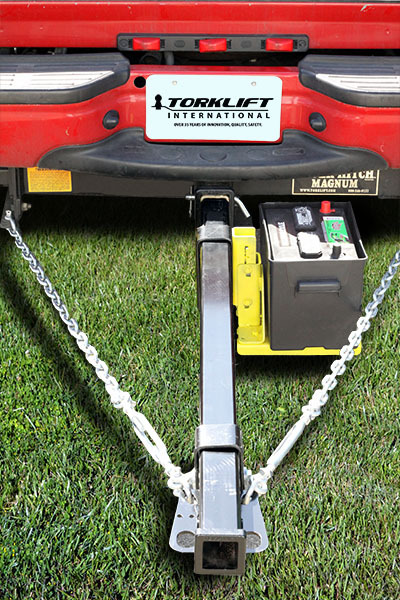 By wiring the spare batteries housed on the ExtendedPower, enjoy accessing extra power for your RV and your accessories including lights, stereo, computers, winches and more. The ExtendedPower battery system can be plugged into your factory RV plug†† on the back of your truck to facilitate an automatic charge by your trucks alternator. It includes a secure RV battery box and incorporates an extra battery mount which allows you to power your accessories without having to turn the truck engine on and wasting valuable fuel. 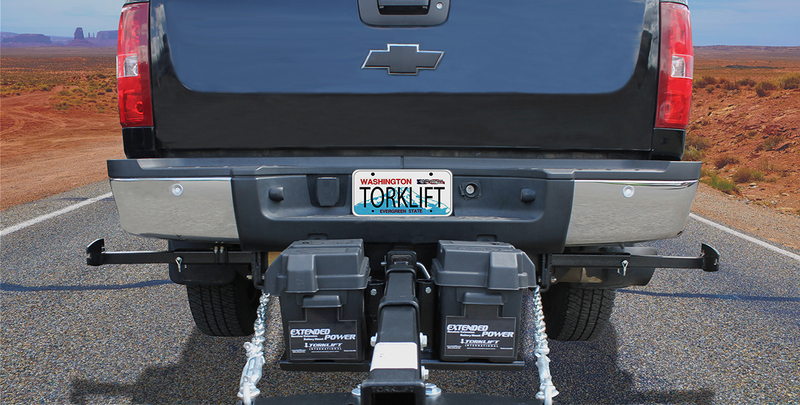 The ExtendedPower battery tray installs quickly with no drilling† required, simply bolting directly onto your hitch receiver extension. The unique design features a quick release pin allowing the battery mount to easily disconnect for teardown and storage. Each ExtendedPower comes with a group 24 battery box. 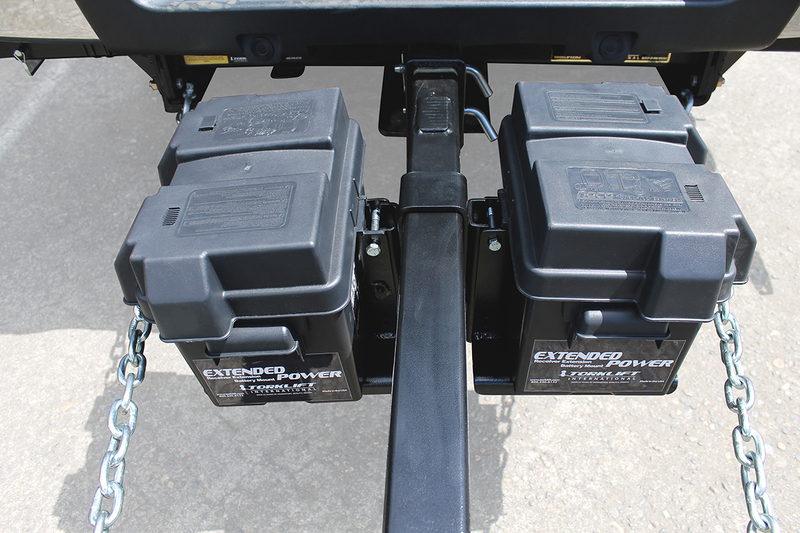 To adapt directly to your specific truck and trailer application, the battery tray mount is height adjustable. 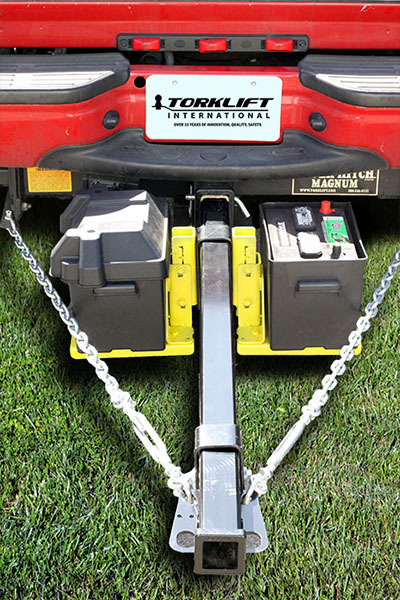 With varying levels of trucks and trailers, simply adjust the battery tray to the appropriate height eliminating any clearance concerns. The ExtendedPower battery mount is backed by our Legendary Lifetime Warranty and proudly made in the USA. †The ExtendedPower steel tray does not require drilling and there is no drilling required on the extension. The plastic battery box requires drilling. Note: The ExtendedPower is able to work with 36"-60" SuperTruss lengths. 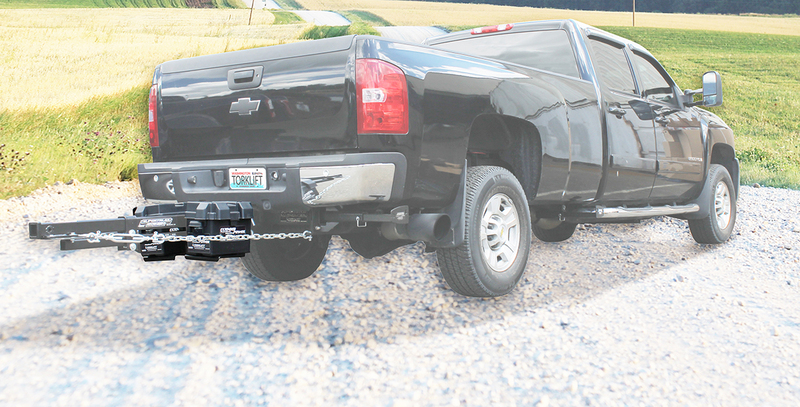 The SuperTruss uses lateral support safety chains for the ultimate in strength and safety, however the safety chains interfere with the ExtendedPower on SuperTruss Extension lengths of 21", 24", 28" and 32". Becomes an extension of your RV batteries and recharges via your RV solar panels, generator, converter, alternator, etc.